A new idea, a new concept in vodka tasting. After the harvest of jasmine and elder flowers, strictly by hand, and the right maturation, follows an accurate washing, drying and infusion in pure wheat vodka. The maceration of the flowers occurs at a precise and constant temperature of 40°C celsius, and lasts five days. Then, the flowers are separated from the vodka. The flowers themselves, soaked with the maceration liquid, are squeezed with the appropriate hand-operated winepress at low pressure and the resulting liquid is added to the vodka. Distilled water is then added to lower the alcoholic volume. A twofold filtration process then follows, the first employs medium-weave filtration panels to keep the aroma intact while the second is called "brightening" and its purpose is to obtain a perfectly transparent liquid. We suggest tasting MYFLOWER iced in its pure form. 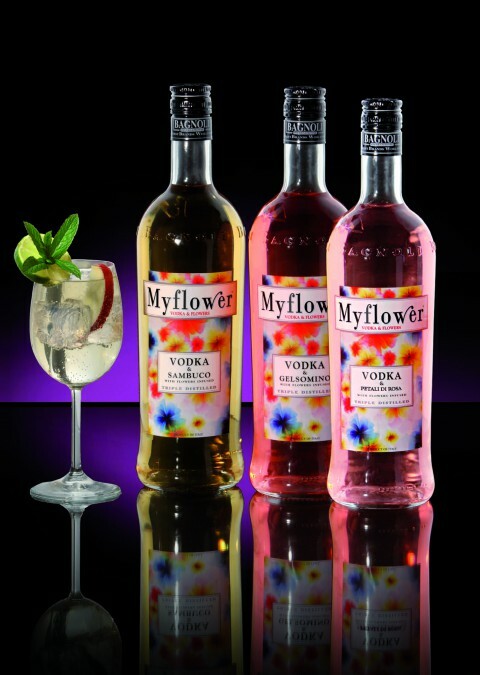 MYFLOWER is also perfect mixed with lemonade, tonic water, Red Bull and abundant ice. 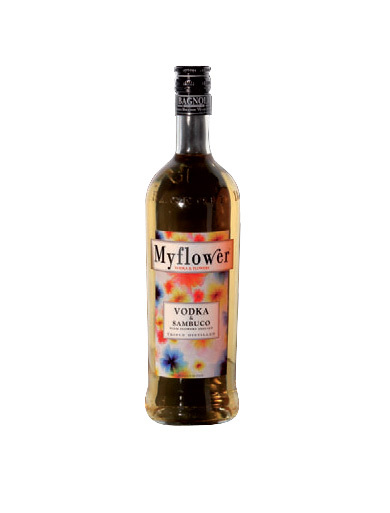 MYFLOWER VODKA & SAMBUCO is the perfect base ingredient for the popular aperitif "Hugo", allowing for a perfect balance of aroma and sweetness.